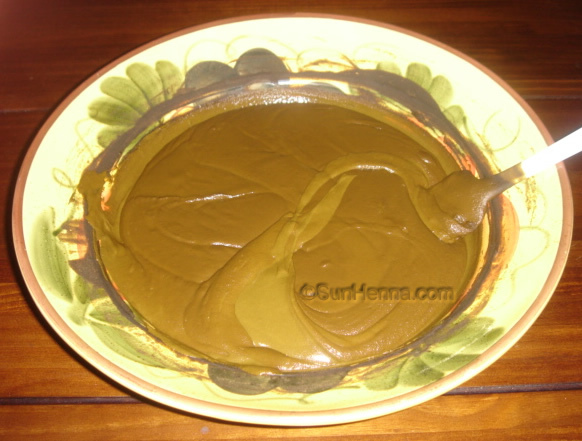 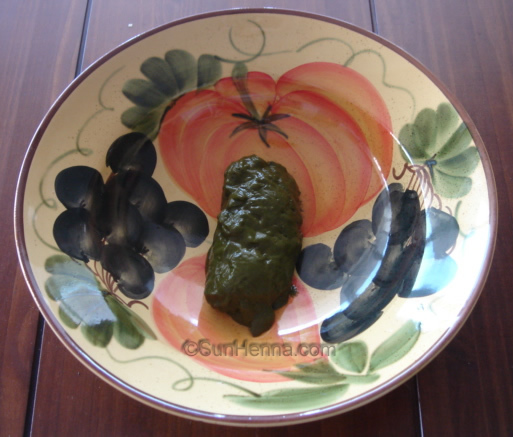 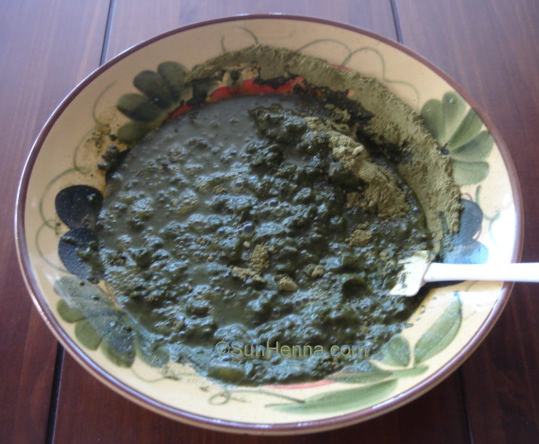 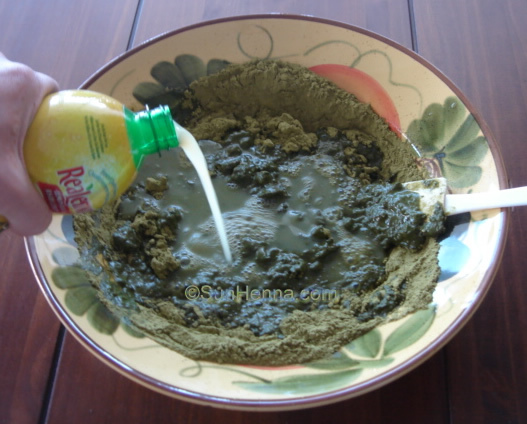 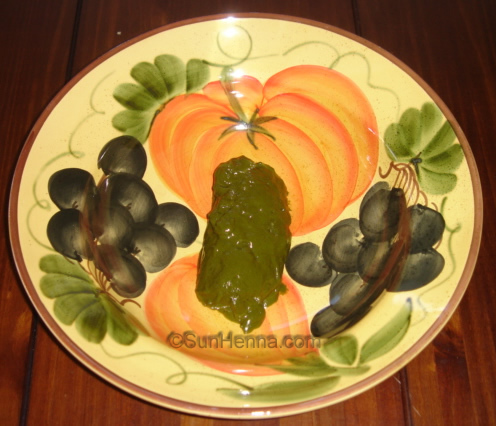 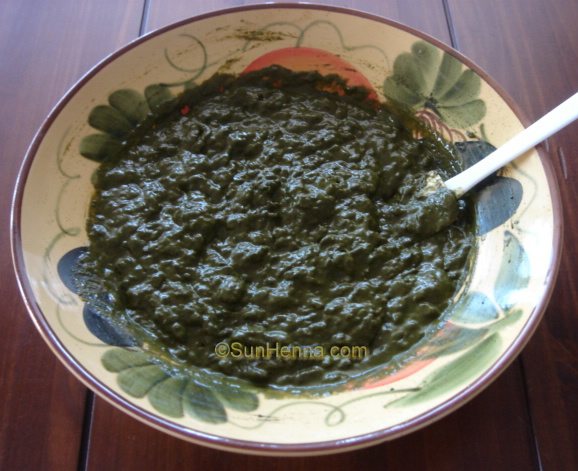 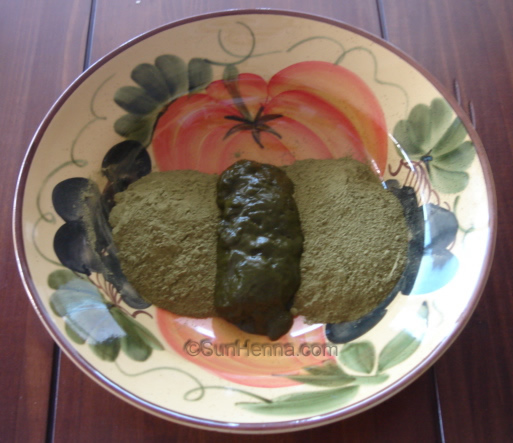 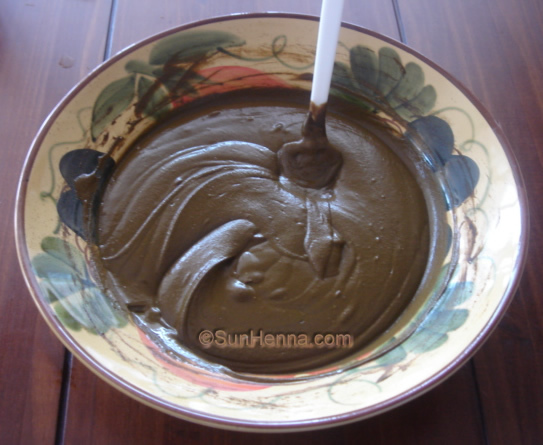 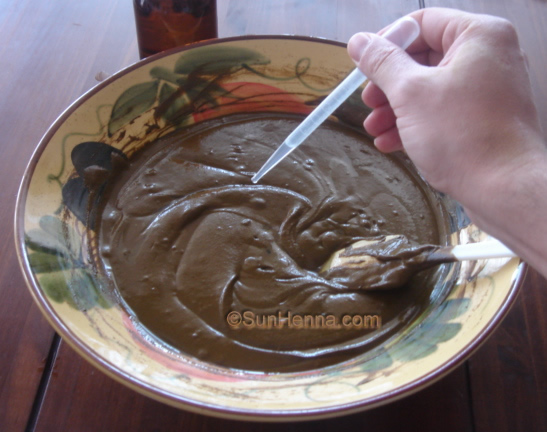 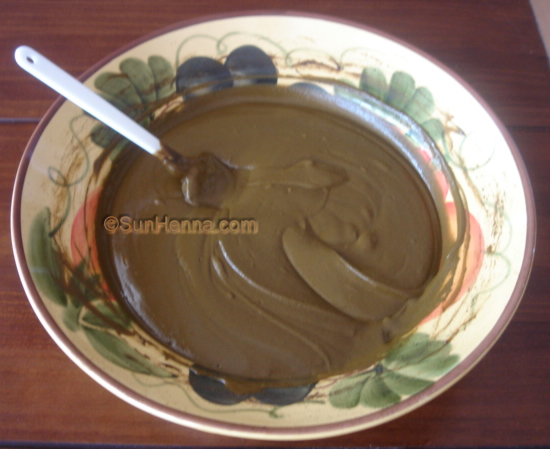 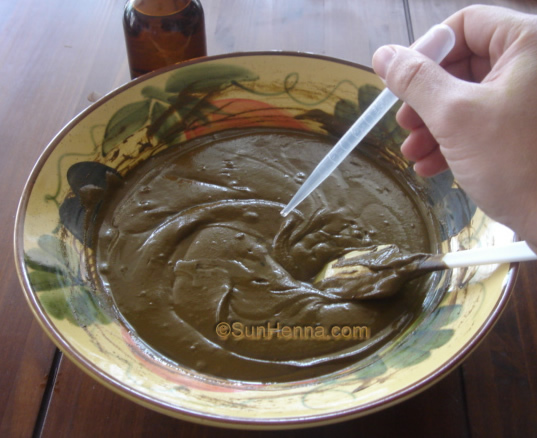 Mixing henna powder into paste is not just any task, it’s an art form! 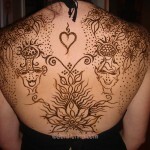 It requires effort, composure, strength, consistency, patience, and most of all gentleness. 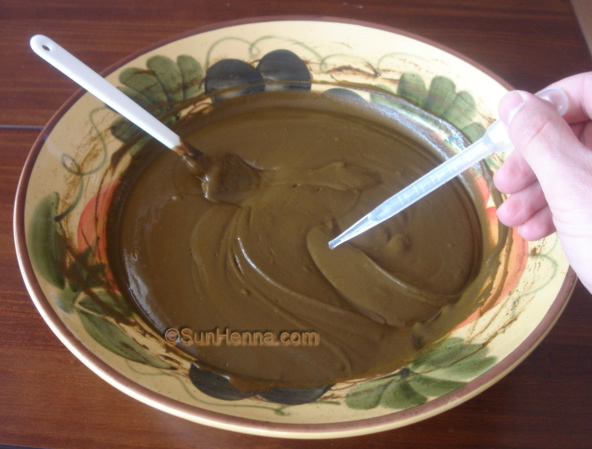 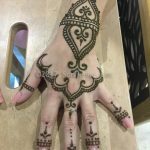 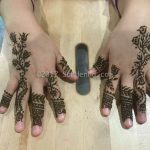 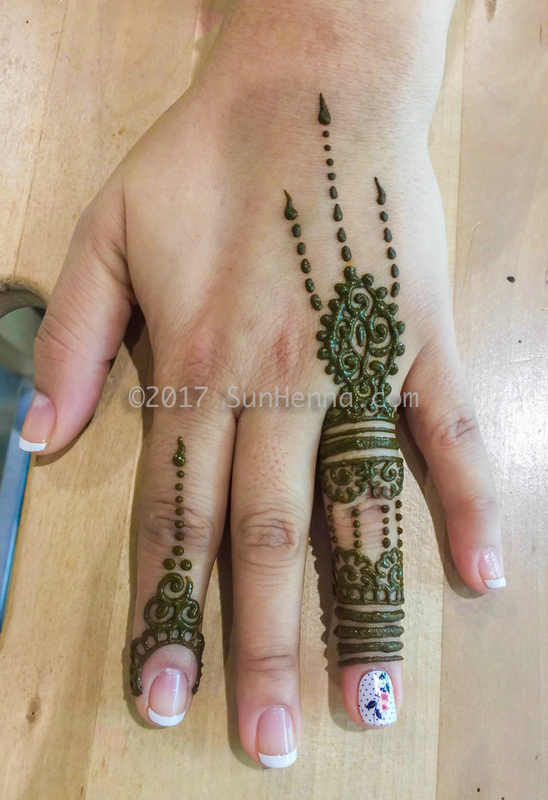 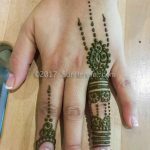 In the feature below, we try to describe henna mixing as thoroughly as possible, using 2 bottles of 200g (400g) of Sun Henna Powder. 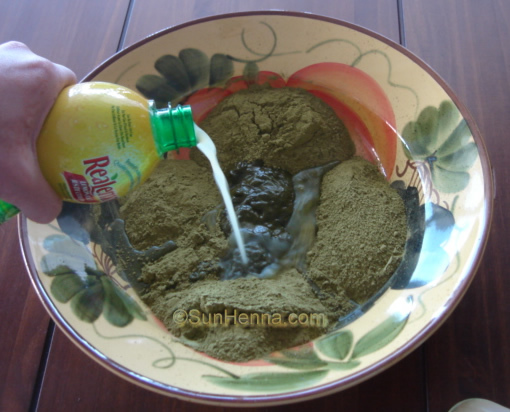 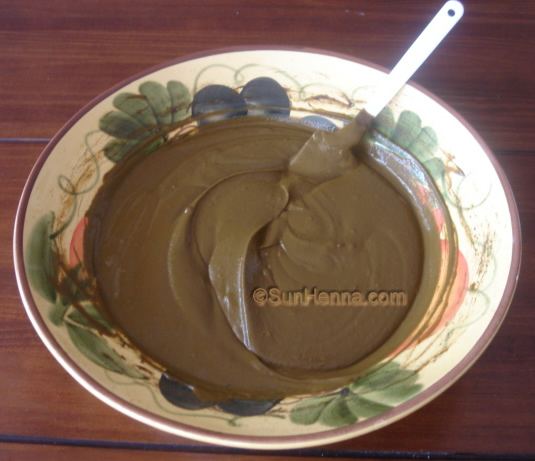 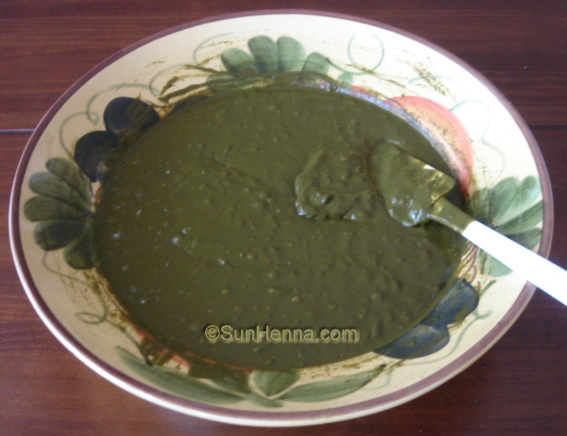 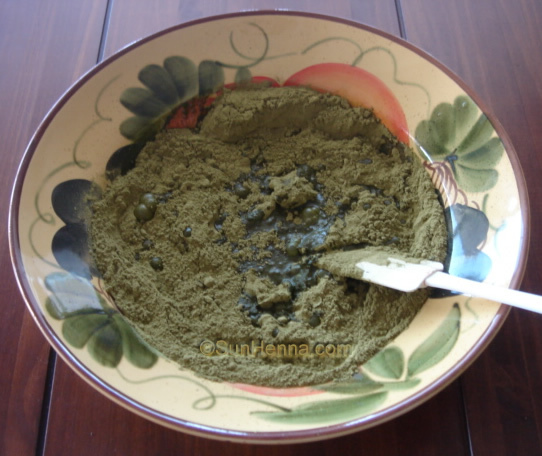 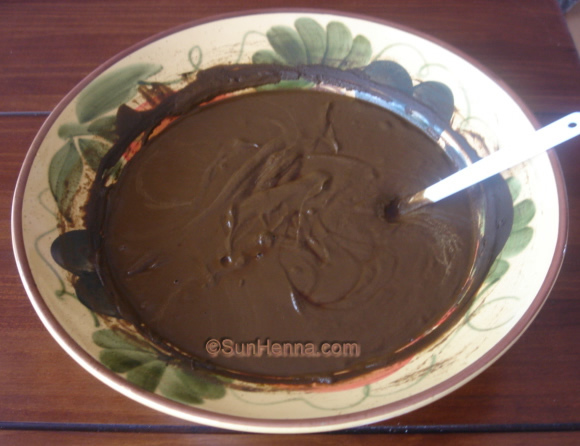 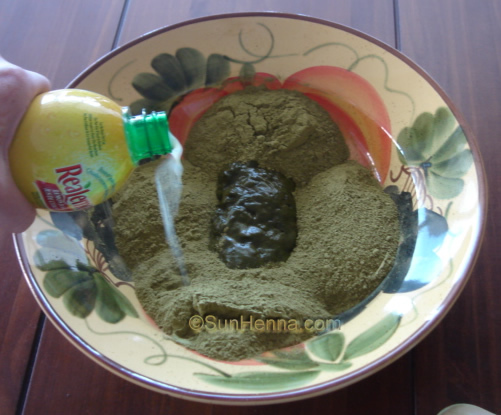 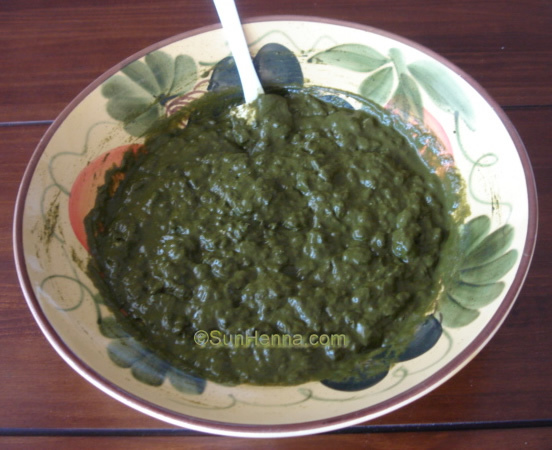 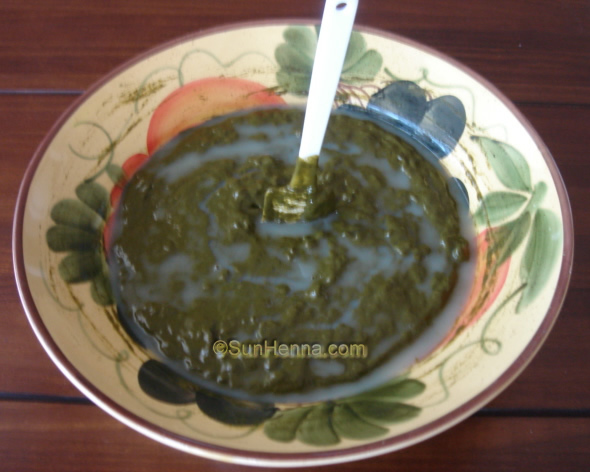 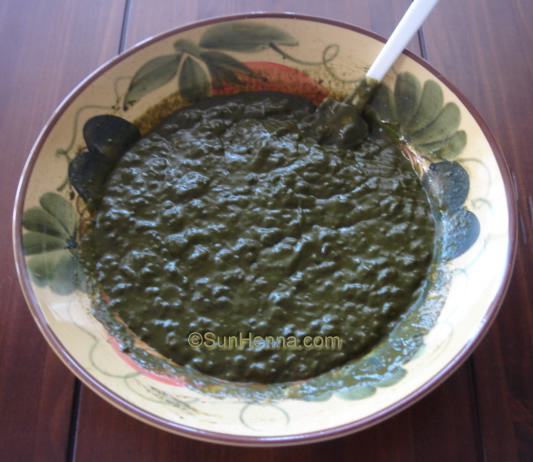 400g of henna powder is a good amount to mix and apply to long hair that reaches the lower back. 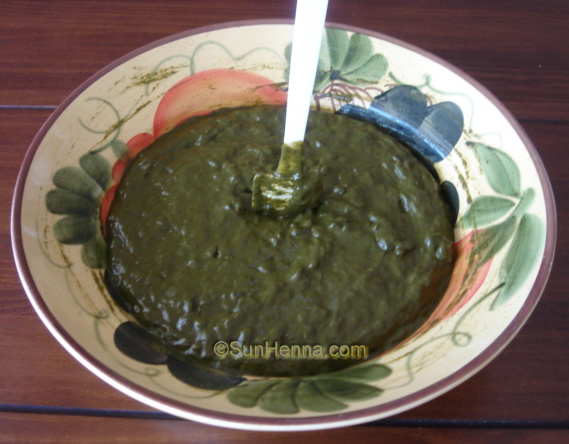 For shoulder length hair, 200g will suffice. 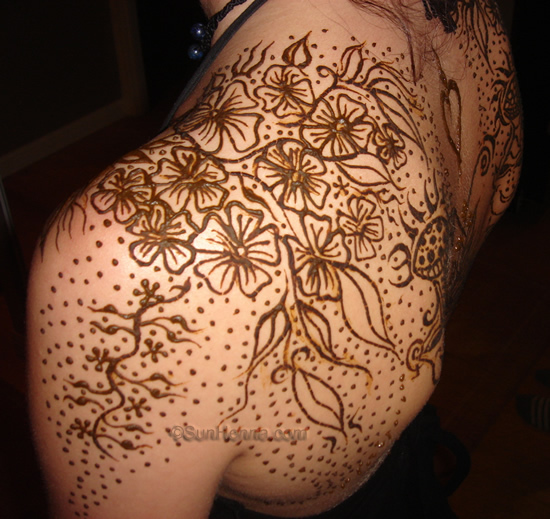 For short hair, 100g of henna powder or less will be enough. 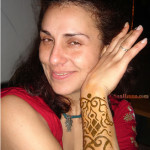 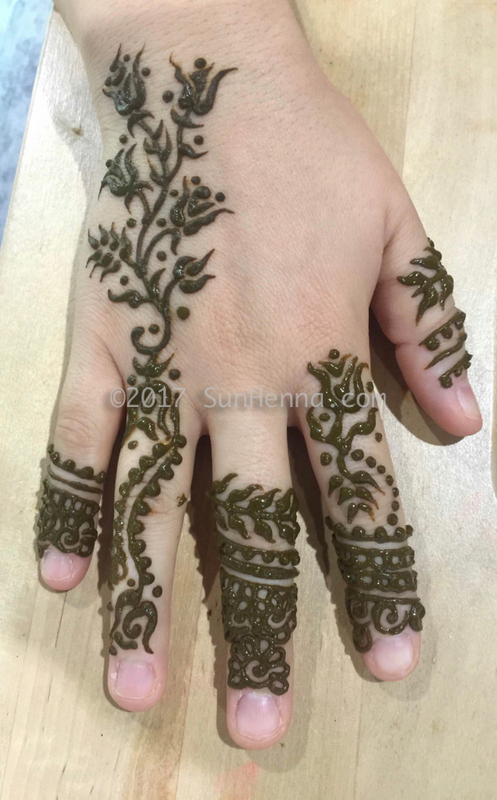 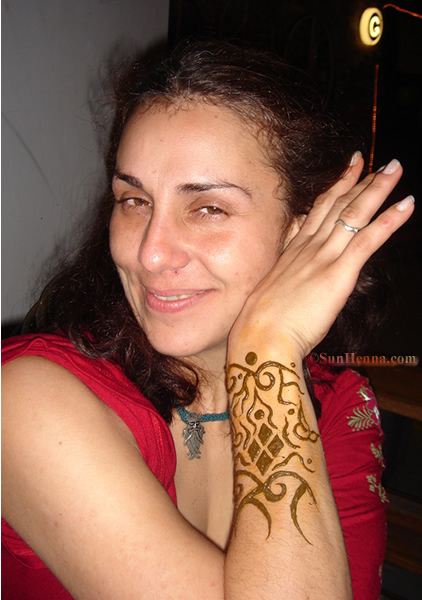 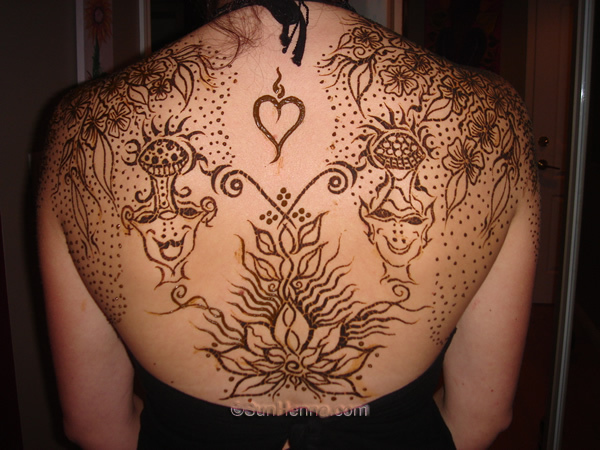 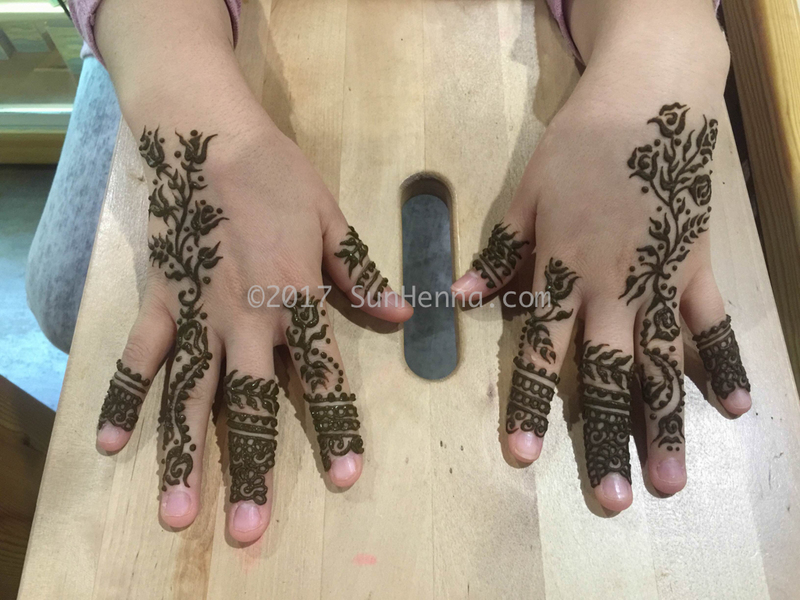 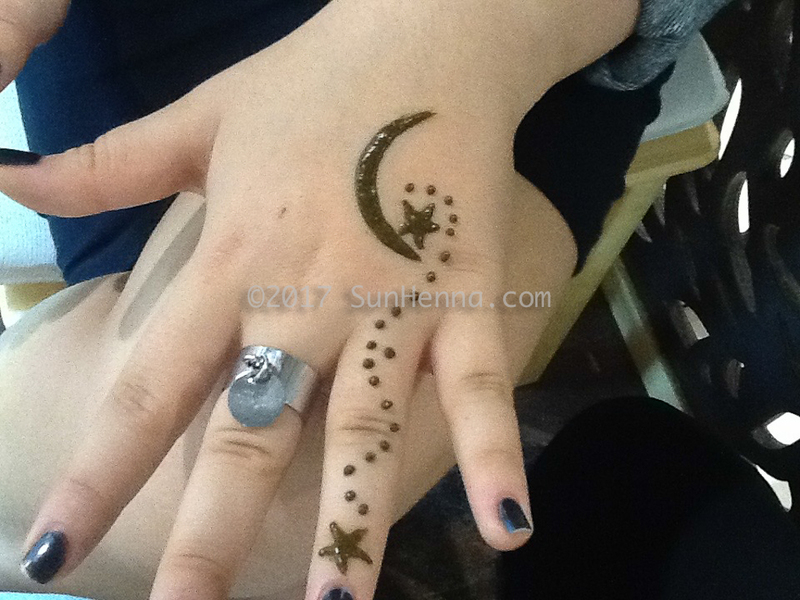 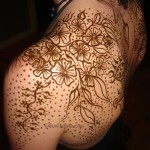 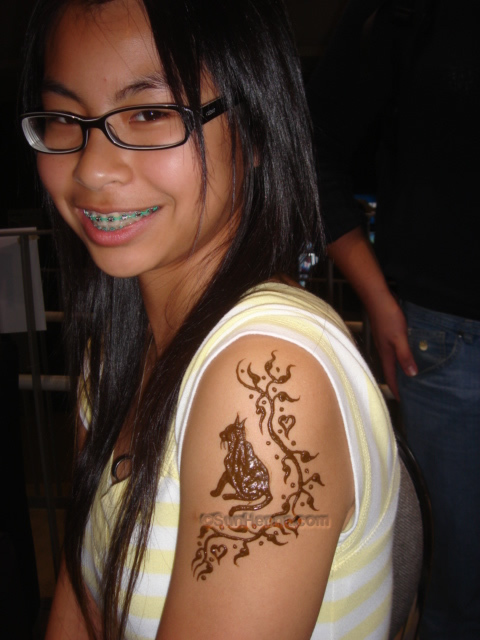 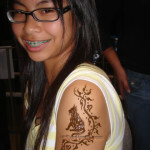 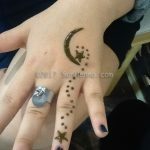 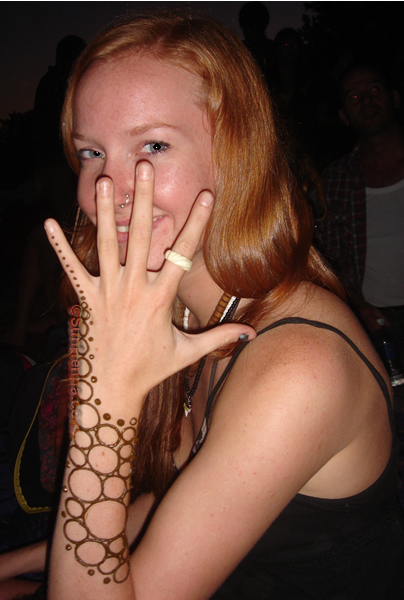 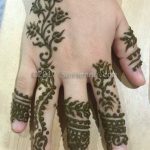 For henna tattoos and application on skin, 25g of henna powder mixed will do about 20 small 5cm x 5cm (2″x2″) designs. 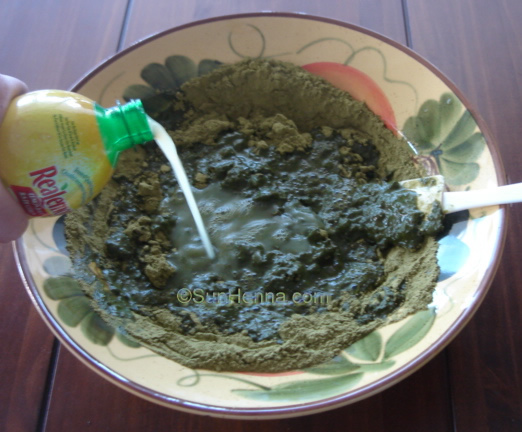 MIX A BIT MORE, AND IT’S READY!